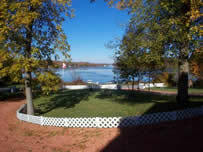 " We would like to thank the Sharon Male Real Estate Team for their great efforts in selling our waterfront cottage on Long Island Rice Lake with their Rice Lake Tour Boat. We were very pleased with the quick sale of our cottage. The Team’s recommendations were excellent and they always kept us informed during the sales process. Overall, the performance of the Sharon Male Real Estate Team was exceptional!! Sharon’s intense advertising was the reason we chose Sharon. The advertising Sharon did on our cottage was excellent and proves it does work. It would be our pleasure to recommend Sharon Male. "